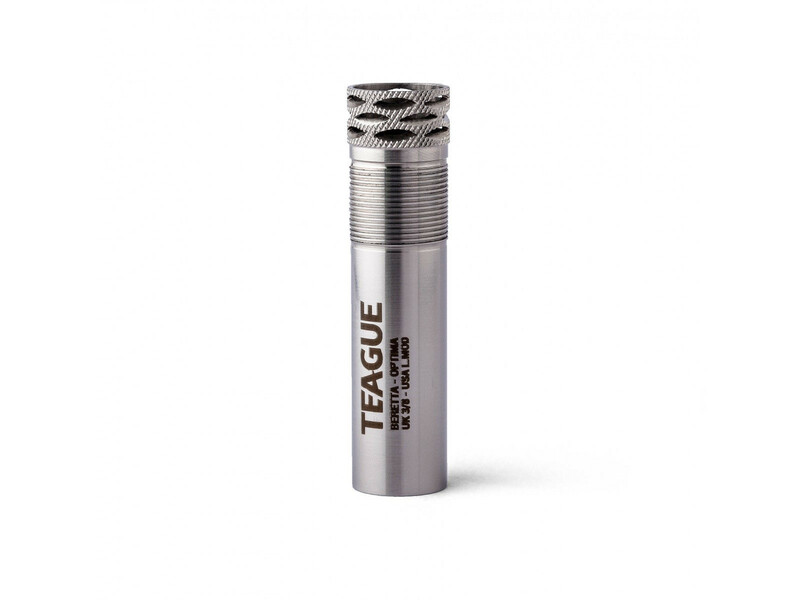 Teague Beretta 12g Optima extended ported chokes extend the barrel length by 12 mm. The porting gives the advantage of reducing muzzle flip making getting onto the second target much quicker. Our Beretta 12g Optima extended ported chokes extend the barrel length by 12 mm. The porting gives the advantage of reducing muzzle flip making getting onto the second target much quicker. Easy to interchange by hand.